The commentary about foreign pilots invading our shores has me pausing to reflect on my own career and my conversations with other career aviators across many sectors, and while this is my story, its shares many common elements with those of other successful aviators I count as colleagues and friends. All I ever wanted to be was a fighter pilot. I wasn’t very good at school and repeated my last year to get the marks I needed to fly. I took flying lessons, flying when I had enough pocket money and studying my aviation theory subjects after school at TAFE. I was knocked back the first time I applied to the RAAF, while still at school. I started uni and realised that I couldn’t work the hours I needed to pay for flying lessons, so I dropped out. I mowed lawns Monday-Friday and worked in a pub at nights and on the evenings on the weekend. I still worked my way through my back-up plan (there was a 50 per cent fail rate on pilots course at the time) to a CPL at RQAC before jumping on a plane and starting RAAF pilot training at Point Cook. Subsequently, I kept working my arse off and during my career 11 year career in the RAAF I had the privilege and opportunity to fly the F/A-18 Hornet and Tornado F.3 (on exchange with the RAF). At all times I felt like there was a bottomless reservoir of “gouge”, what fighter pilots call knowledge. Airmanship, standards, regulations, weapons, aircraft performance and all the SLJs that come with a small squadron. Always challenging, always rewarding. I also had the life-altering experience of losing my flight medical and subsequently my aviation career at the age of 30. Needless to say, that sucked, and it was a very challenging time for me. No insurance. No support. You know what? That was 12 years ago and things didn’t turn out so badly after all. Since that day I have been working for myself, building businesses in the Middle East, hotels in Perth, helping other budding entrepreneurs achieve success as a high-performance coach and now bizarrely, falling back into aviation at a time when advocacy for our industry has become more important than ever. The skill-sets to be a successful aviator are the same skills to be successful at any venture you set out to achieve in life. 1. If you want to achieve a life’s dream, it’s bloody hard work. If it wasn’t, it wouldn’t be a dream, it’d be a day like any other. 2. Whether you are building a house, a home, a career or a business, it’s an investment in time and, whether you like it or not, money. 3. It’s highly unlikely that you’ll achieve what you want to achieve when you want to achieve it. 4. If you keep your head down and work at solving each small problem one by one, you’ll get there. I come from a family of aviators. From from helicopters in central Queensland chasing cattle, or the oil rigs in the Middle East, to Qantas, to the ADF, we all share one common memory. The memory of struggling to break into this amazing industry. It’s not easy. A pilot shortage is not something to fear. This is an opportunity, keep the faith. If you’re feeling like the jump from a ab-initio to career is just too big please email us on media@australianaviation.com.au. We want to hear your story and we may just be able to help. Christian ‘Boo’ Boucousis is publisher of Australian Aviation. The real issue is that it’s too expensive to become a pilot, no one can afford the 100 grand it costs. Well said Aussie, from a Kiwi. What good commonsense and advice you’ve stated in your article. To achieve and live your dream, no matter what it is takes application, dedication and determination. Boo, fist of all everyone on here respects fighter pilots very much. Your hard work and persistence had really paid off. My question to you is ( I have a few sorry) is a lot or some RAAF pilots I know get trained by the RAAF and then move off to Airlines where they are paid 3-4 times as much. Some of my fast jet friends and I have flown with( powered and gliding I flew) is they are given very good posts over to the UAE and other places, and get paid to the tune of $700,000 a year tax free. On top of this they get free accommodation, dental, medical etc. The major airlines Quantas Jetstar Virgin are losing their pilots to Chinese operators because they get 3 times the amount flying with them. A lot of flying schools here in Australia are being bought by the Chinese. Is there a current shortage of fast jet pilots in the RAAF still? Thankyou for your service to this country BOO., it is greatly appreciated. Cheers mate. We should have an Australian equivalent to the US Air National Guard. 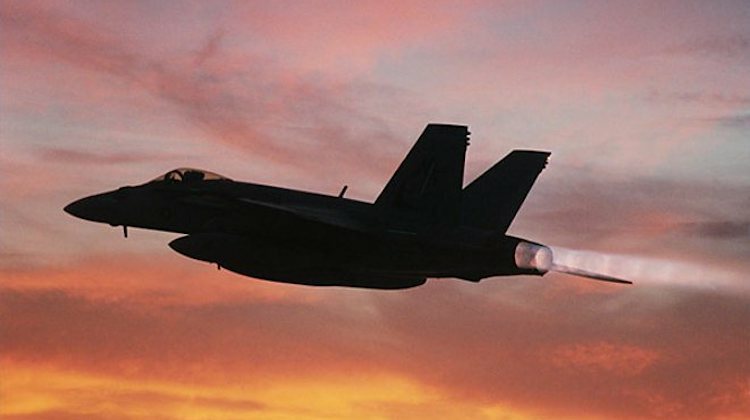 By the way, lovely shot of the hornet in burner at sunset!!! Most professional qualifications are expensive. An undergrad plus masters degree which most professions require comes in at around $100k. Pilots is more hands on with expensive training resources, and by necessity small classes. Hard to make any more economicies of scale. China is using Australia because the airport land is cheaper and there are more highly qualified trainers around.